Patagonia is a leading retailer of outdoors clothing, based out of Ventura, California, United States. The privately held company sells its range from hundreds of its own branded stores, as well as online through the Patagonia.com website. Here customers can make exclusive savings by using special Patagonia coupons. We update our list of these here at Coupofy whenever new offers and deals are made available, so you never have to waste time searching elsewhere. A popular choice at the moment is the Patagonia student discount. The company traces its roots back to the 50s when climber Yvon Chouinard started selling products out of his parents' backyard in Burbank, and from the back of his car. He would make his own climbing pitons by hand and sell other climbing gear he could source. Eventually there was enough demand that he went in to partnership with a fellow climber and engineer and had his items mass produced. The pair revolutionized the industry, producing better designed, stronger and lighter weight gear. They soon became the largest supplier of climbing gear in the US. Drawing from this success Chouinard also began to realize that climbing and outdoor clothing needed to be updated as well. This is when Patagonia was born. In 1972 he began importing British rugby tops, because even though they weren't designed for climbing, they were still more comfortable and longer lasting. Taking inspiration from these and other clothing in the fishing industry, he developed his own range of outdoors clothing and sold it through a mail order catalog. With Yvon Chouinard still involved, Patagonia has become a multi million dollar company with over 2,000 permanent employees. The company also have a large presence in the environmental movement, donating 1% of their total sales to various causes. 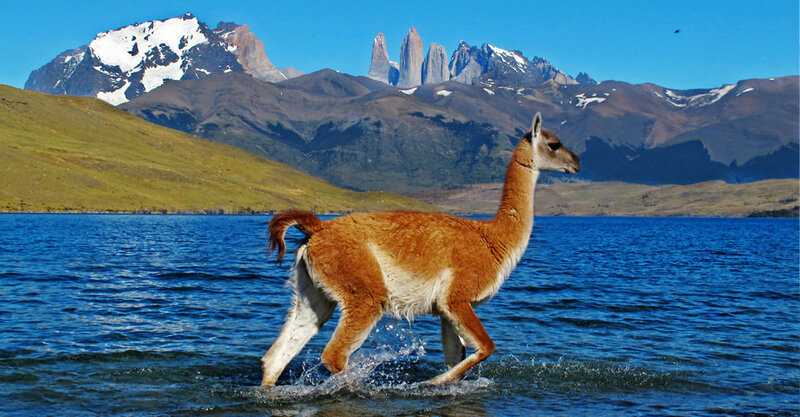 The Patagonia range covers general outdoor activities, but also has specialized products for Climbing, Skiing, Snowboarding, Surfing, Fly Fishing, and Trail Running. Their clothing collection includes Denimwear, Shirts, Sweaters & Long Sleeved Tops, Pants, Insulated Layers, Vests, Wetsuits, Fleeces, Baselayers, Thermal Underwear, Hats, Socks, Waders, Heavy Duty T-Shirts, Hoodies, Jackets & Outerwear, Dresses & Skirts, Yoga Pants, and much more. These cater to men, women and children. Accessories & Packs include Water Bottles, Backpacks, Technical Packs, Transport Bags, Wheeled Baggage, Laptop Bags, Duffel Bags, Transport Bags, Black Hole Bags, and much more. If you're planning a difficult trip the Provisions section Dry Goods, Jerky, Soup, Fruit & Nut Bars, Canned Salmon and other foods, and much more. You can also buy Books related to outdoor activities, the environment and related topics. There is also a prominent Sale page where you can find a bargain. Couple these purchases with one of our Patagonia coupon codes and you're sure to make great savings! Buying for somebody else and aren't sure what to get? You can buy a mailed or eGift Card (between $10 and $1000) so the recipient can make their own purchasing choices. The site's layout makes it very easy to find what you want. You can navigate using the above categories or use the search bar if you have something specific in mind. Once on a category or product listing, you can then refine things further by Function (climbing, surfing etc), Color, Material, Price Range, Release Date, and other parameters depending on the category. Patagonia accepted most common credit cards for online payment, including Visa, American Express, Discover, and MasterCard. You can also use their branded Gift Cards to cover the full order or just a portion of it, with any remaining balance being paid by credit card. To redeem a Patagonia coupon code, all you have to do is enter it in to the designated promotions box during checkout. You should see this before the payment step, and if you enter the code correctly you'll get a confirmation message and the total order cost should drop according to the deal of the coupon. 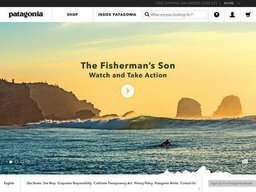 Patagonia are often running some kind of free shipping offer, though it can vary from time to time. As of writing the current deal is free shipping on all orders over the value of $75. Delivery will take up to 10 working days and you do not need a Patagonia promo code to qualify. Just checkout as normal and shipping will be free. The cost of Standard Shipping is determined by the value of your order, starting at $8.50 for orders up to $50 and peaking at $13.95 for orders over $200. 2 Day Delivery costs the standard charge plus $15. Next Day Delivery costs the standard charge plus $20. Saturday Delivery costs the standard charge plus $35. You should check the site for international delivery rates. Patagonia does not have a set timeframe for returns but you are advised to initiate the process right away. Returns on all unwanted items are accepted for a refund or exchange, so long as they are in the original brand new condition, with all of the packaging, tags and contents. The customer is responsible for the original and return shipping costs, unless they received the wrong item or items arrived in a damaged state. To initiate a return you should login to your customer account and follow the instructions. Obviously if you have use any Patagonia online coupons to get a discount, you will only be refunded the actual amount charged to your payment method after the code was applied. @JoeyFishwater So glad you are enjoying them, Joey. We hope you make some rad memories in them and Happy Earth Day!